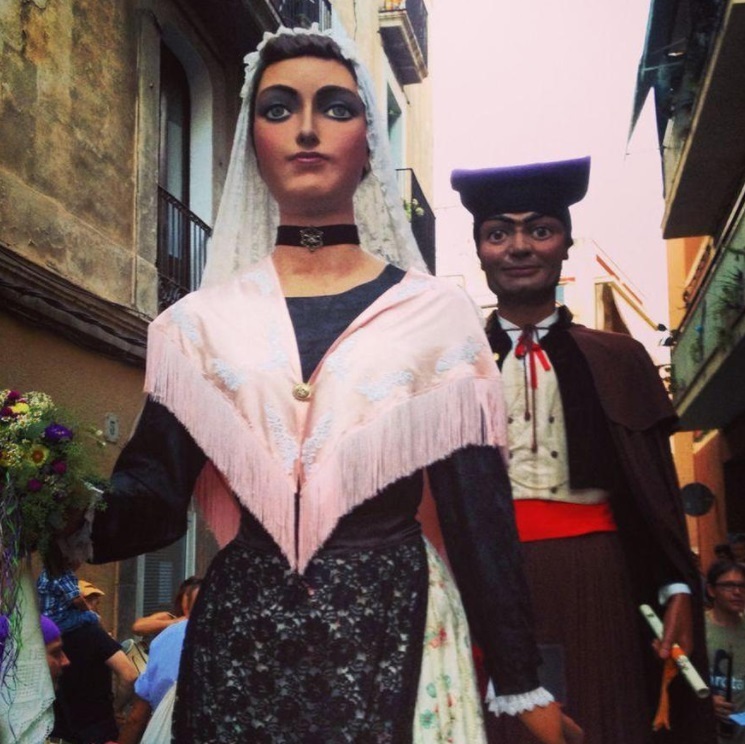 La Mulassa is one of the most endearing characters that stroll through the streets during the major festivals of Vilanova. It consists of a figure without legs that represents a mule and is moved by two people who are hidden inside, allowing him to dance and move freely while accompanied by a small band of musicians. Such an ancient tradition dates back to the sixteenth century, when the now-soft Mulassa spat fire by the mouth as if it were a dragon. Nowadays, the little ones give their pacifiers to the docile beast, after agreeing with their parents that the time has come to become great. The same child is responsible, with the help of his progenitor, to hang the xumet to the mule in a net that covers it. With this act it is considered that the child has left behind his maternal stage and is prepared to continue growing and therefore become an adult. The story of the giants is a little different. 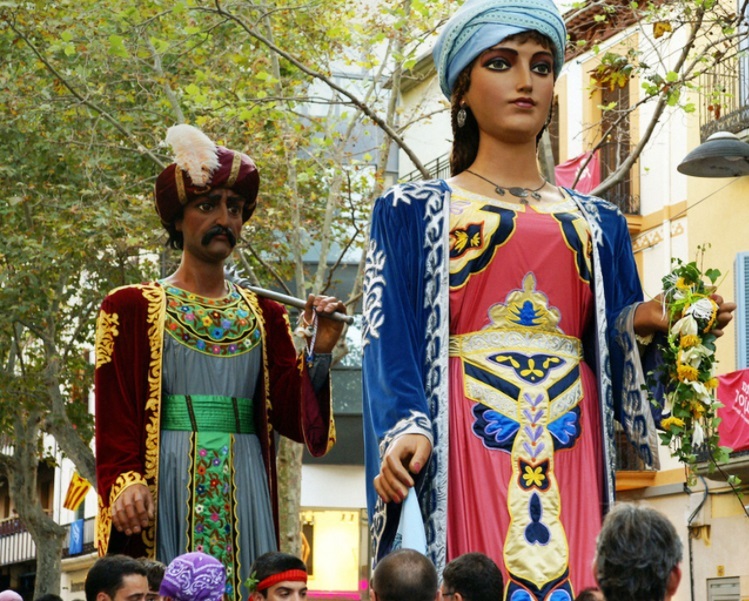 They are survivors that date back to 1700, and after several breaks due to the frequent wars that ravaged the area, they managed to remain at least in the popular imagination to resurface even more strongly in 1948, the year of the almost definitive recovery of these giants who today they make the delight of big and small, with their dances and pirouettes that seem almost impossible to realize by the height of the structures that carry the members of the Colla de Geganters de Vilanova. And it must be difficult to move the Gegant de la Porra with its 4.75 meters in height and almost 110 kilos in weight, or his partner the great Geganta of 4.55 meters and 90 kilos. 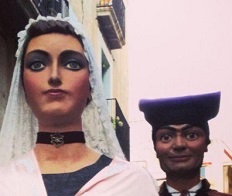 I would even think to lift the heretic Gegantó that “only” measures 3.50 meters and weighs 45 kilos. 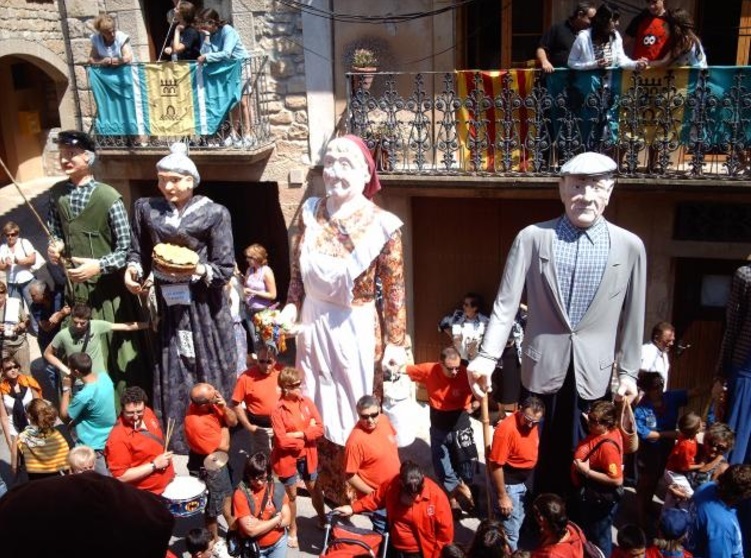 Now both the giants and the Mulassa enjoy great health, and will continue to cheer the Vilanova festivities for many, many years ….